An 85-year-old man presented with severe aortic stenosis. Open-heart surgery was contraindicated due to comorbid conditions, so transcatheter aortic valve implantation (TAVI) was planned. 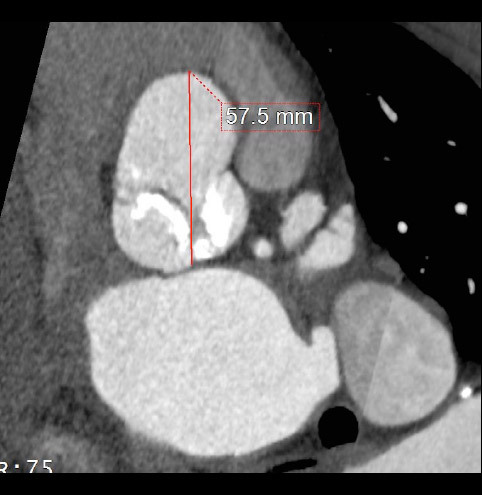 Contrast-enhanced aortic CT was performed to evaluate the aortic root before the TAVI procedure.